Interest in animal personalities has generated a burgeoning literature on repeatability in individual traits such as boldness or exploration through time or across different contexts. Yet, repeatability can be influenced by the interactive social strategies of individuals, for example, consistent inter-individual variation in aggression is well documented. 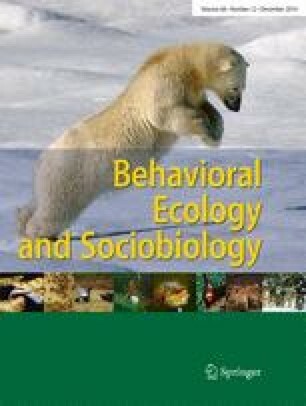 Previous work has largely focused on the social aspects of repeatability in animal behaviour by testing individuals in dyadic pairings. Under natural conditions, individuals interact in a heterogeneous polyadic network. However, the extent to which there is repeatability of social traits at this higher order network level remains unknown. Here, we provide the first empirical evidence of consistent and repeatable animal social networks. Using a model species of shark, a taxonomic group in which repeatability in behaviour has yet to be described, we repeatedly quantified the social networks of ten independent shark groups across different habitats, testing repeatability in individual network position under changing environments. To understand better the mechanisms behind repeatable social behaviour, we also explored the coupling between individual preferences for specific group sizes and social network position. We quantify repeatability in sharks by demonstrating that despite changes in aggregation measured at the group level, the social network position of individuals is consistent across treatments. Group size preferences were found to influence the social network position of individuals in small groups but less so for larger groups suggesting network structure, and thus, repeatability was driven by social preference over aggregation tendency. The online version of this article (doi: 10.1007/s00265-014-1805-9) contains supplementary material, which is available to authorized users. We thank Matthew McHugh and John Rundle for assistance in the laboratory and two anonymous reviewers for their insightful comments. Funding was provided to DMPJ by a Fisheries Society of the British Isles studentship and to DWS and DPC by the UK Natural Environment Research Council (NERC) and the Leverhulme Trust respectively. Animal maintenance, husbandry and tagging procedures were authorised by the MBA Animal Ethics Committee and were carried out by licensed individuals in accordance with the UK Home Office Animals (Scientific Procedures) Act 1986.